Client Remks:Location! Location! Location! 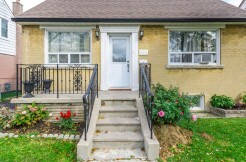 Beautifully Renovated Detached House In Clairlea Area. 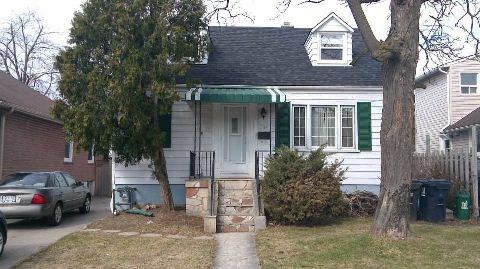 2 Bedroom Basement Apartment With Separate Entrance. Great Location And Neighbourhood. Short Walk To Subway, Schools, Shopping. Hardwood Flooring Throughout. Laminate In The Basement. Granite Countertops. Move In Condition, Nothing Left To Do. Well Maintained Home. Rental Income. Satec Is Home School And Property Has A Sun Room. 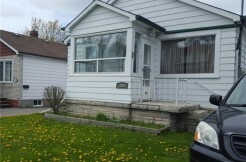 Extras:2 Fridges, 2 Stoves, Dishwasher, Microwave, All Existing Electrical Light Fixtures And Window Coverings. Hot Water Tank Is Rental. Brkage Remks:24Hrs Notice. Pls Attach Sch B. Buyer/Agent To Verify All Measurements & Taxes. Sellers/Agent Do Not Warrant Retrofit Status Of Bsmt Apt. Deposit Must Be Certified. Offers, If Any, To Be Reviewed June 1 @ 7Pm – Pls Reg By 5Pm. 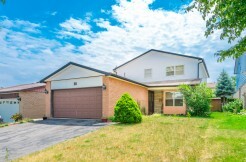 Seller Retains Right To Review Pre-Emptive Offers.